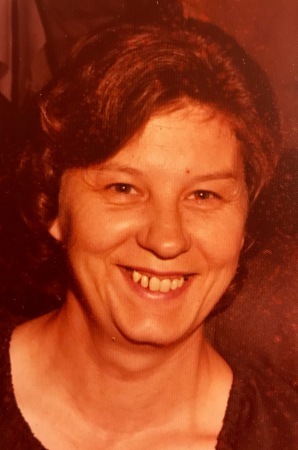 Mary A. Anders (nee Speelman), age 81, beloved wife of the late Dewayne Anders Sr. Loving mother of Sherry Wilkerson, Dewayne Jr. (Evelyn), Keith (dec.), David (Kathy), and Tracy Romanak. Dear grandmother, great-grandmother and great-great-grandmother of many. Sister of Shirley Kennedy and Kenneth Speelman. Funeral service to be held Thursday, September 13 at 11 am at Jenkins Funeral Chapel, 2914 Dover Center Road, Westlake, where family and friends will be received on Wednesday from 3-7 pm. Drag the Music Note to the circle on the side.Touch the Music Note to move it to the circle on the side. My Deepest sympathy and condolences to the whole family, may she rest in peace!!! Rest peacefully Mom. Thank you for being the wonderful mother you were/ I miss you dearly already.